Travelling for long distances cramped in the economy cabin of a plane can often be an uncomfortable experience. 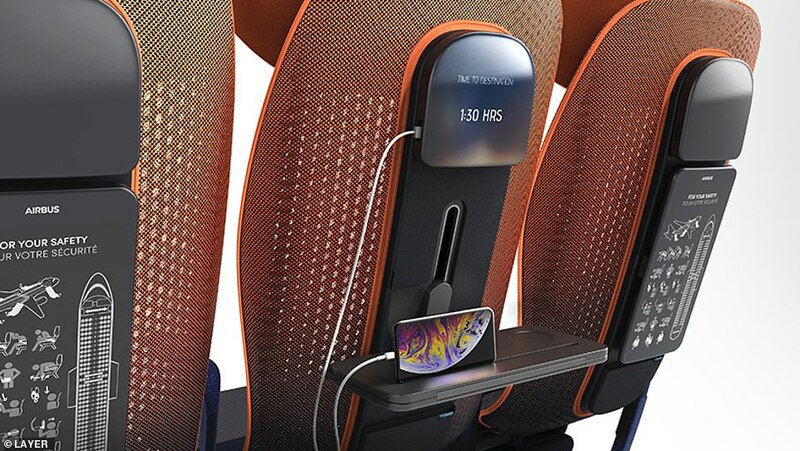 But a British-based designer has come up with a concept for a new airline seat, where passengers can control the comfort of the chair, including its shape and temperature, using their mobile phone. 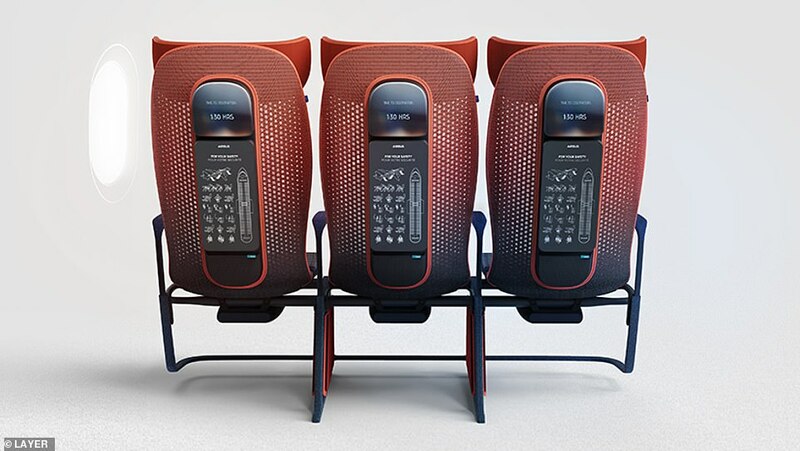 Benjamin Hubert, of London-based design agency Layer, has created the economy class seating, called Move, that could be used on short to mid-haul Airbus aircraft, and it will even tell passengers when they need to drink water. 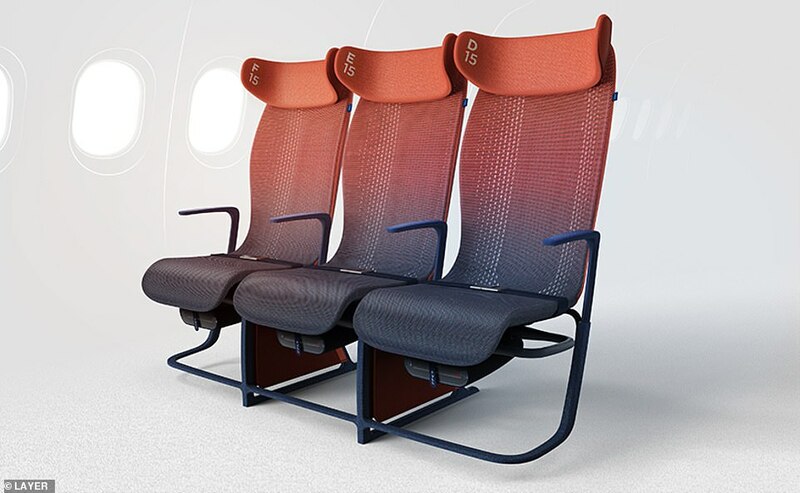 The seats will use smart textiles, that allow passengers to monitor and control factors such as seat tension, pressure and temperature through an app on their smartphone. 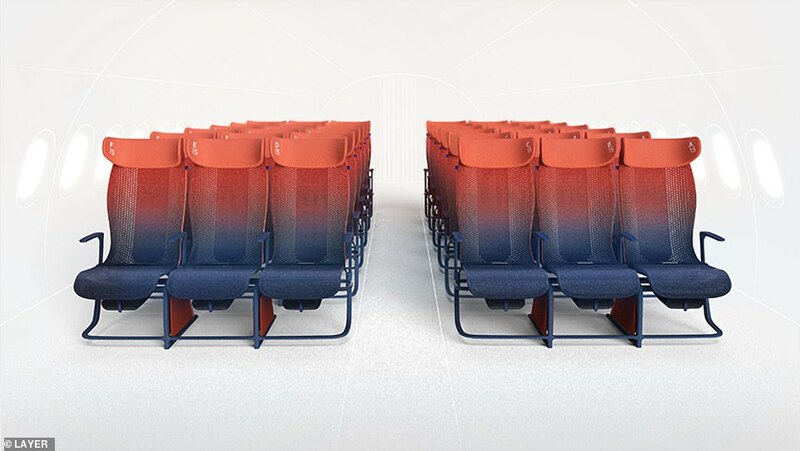 The chairs will also automatically adapt to adjust to a passenger’s weight and size and can be put into different modes such as ‘massage’, ‘mealtime’ or ‘sleep’. And they will even monitor a passenger’s movement and temperature and send an alert to their smartphone when they need to move around more or drink water. However, one thing flyers won’t be able to do is recline their seat as the position of the chairs are fixed. 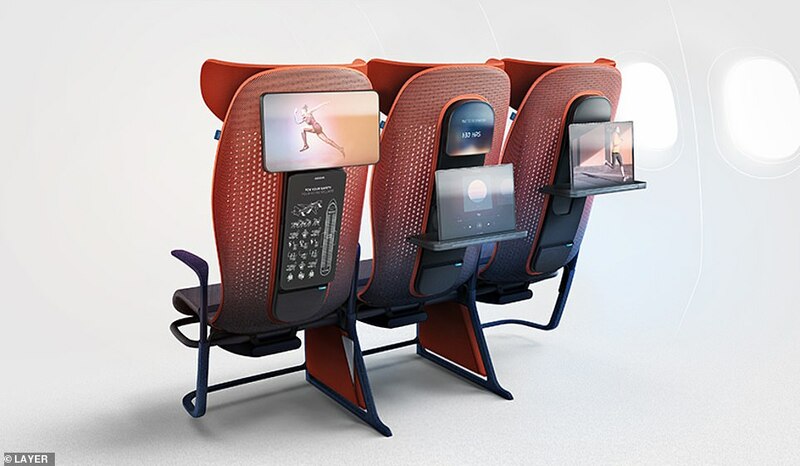 Each seat back also has a central island, containing the tray table, an optional in-flight entertainment system, and a small pocket for storage of personal items and small digital devices. The safety card information is printed on the reverse of the tray table, which can be stowed vertically. The tray table can also rotate out to provide a half-size table as well as folding out to its full-size and is height adjustable. Laptop storage is located between the seats, which offers a secure place to store devices during take-off and landing and more leg room during the flight. 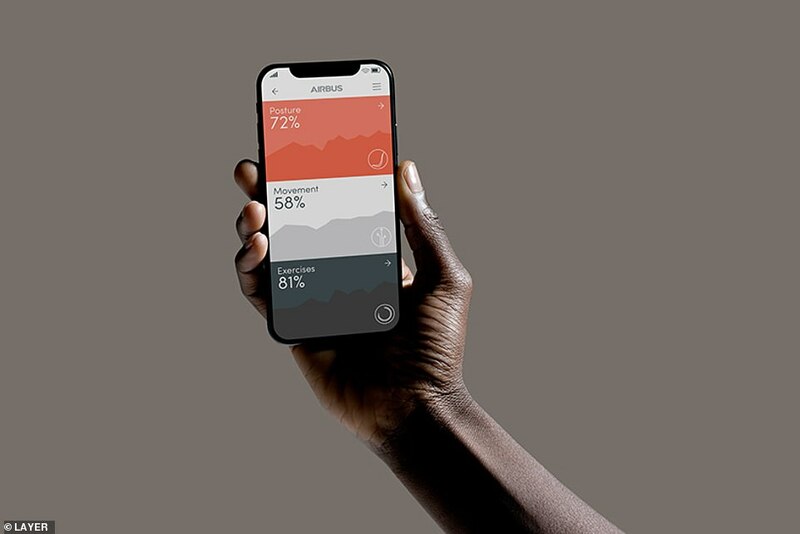 And what’s more is that the app will notify passengers if they have left a device in the pocket after landing through pressure sensitive-yarn. The prototype seats are also said to be much lighter than most designs as they use carbon fibre and require less foam. One thing flyers won’t be able to do is recline their seat as the position of the chairs are fixed. That means the aircraft will be lighter and might not need as much fuel to fly – making it cheaper for carriers. Designer Mr Hubert said: ‘At Layer, we believe good design should be accessible to all. All too often, new concepts for flying are focused on innovation in business class.